Group-C vacancies are: 800 posts in numerous disciplines and Remuneration. Ways to Apply : Applicants cam apply online at PSSSB website upto 08/09/2016. 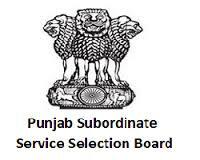 Get all related details at http://www.punjabsssb.gov.in/index.html only (Advt. Is in punjabi language).